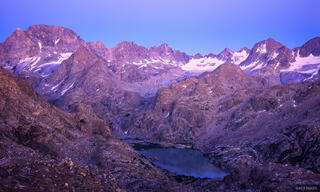 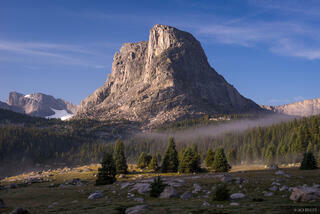 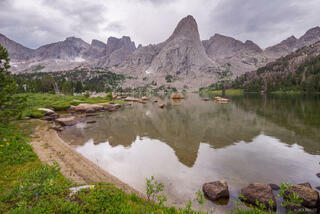 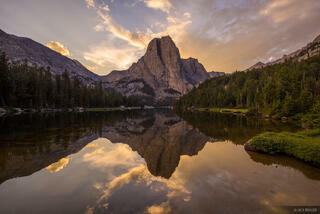 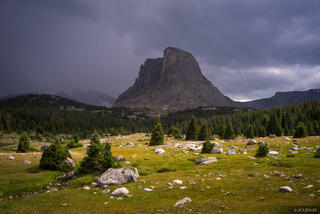 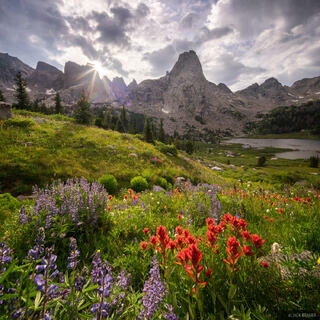 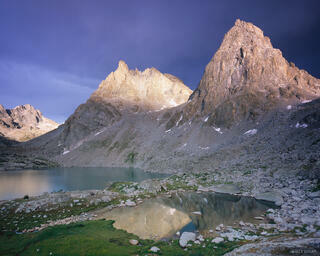 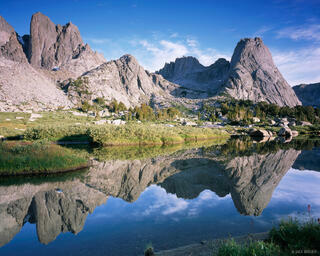 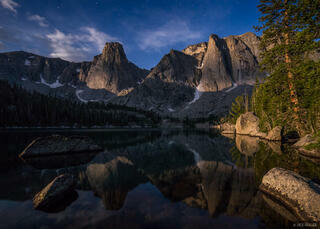 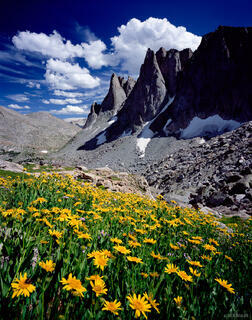 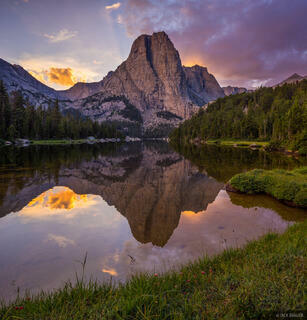 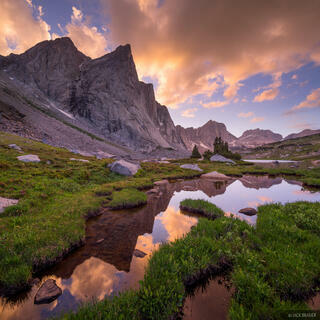 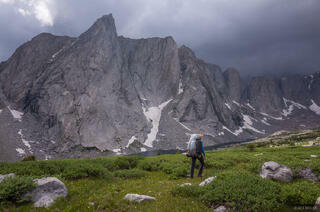 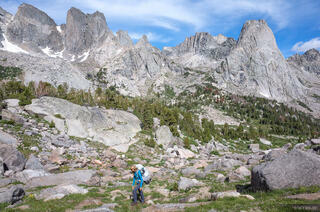 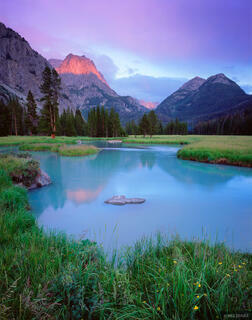 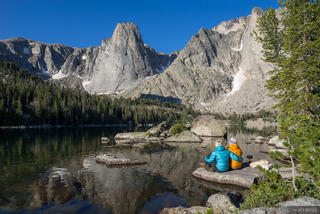 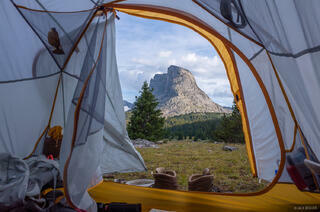 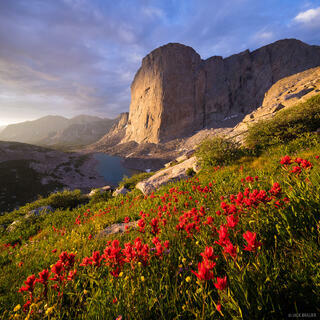 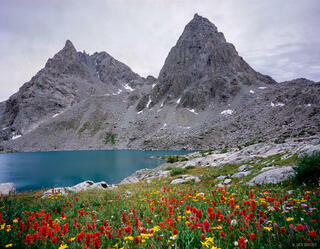 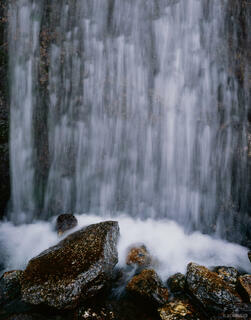 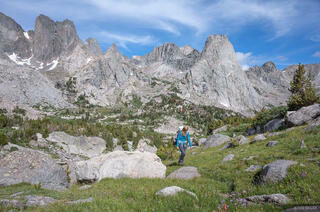 The Wind River Range, in western Wyoming, is an enormous mountain range that stretches 110 miles. 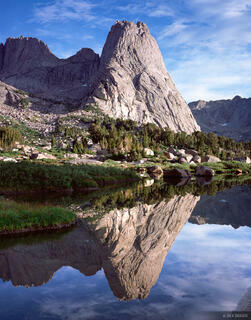 The range's crest forms the Continental Divide and includes Wyoming's tallest peak, Gannett Peak. 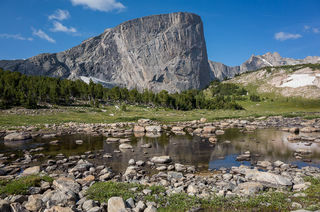 The northern part of the range contains several of the largest glaciers in the Rocky Mountains, as well as the impressive headwaters of the Green River. 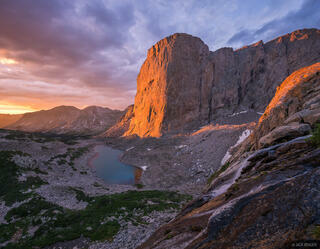 The southern part of the range holds the jagged Cirque of the Towers, certainly one of the premiere cirques of the Rocky Mountains. 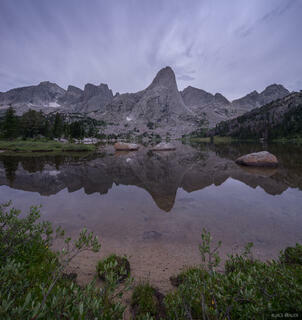 The entire range, fresh from glaciation, is incredibly rocky and rugged, making the views spectacular but the travel difficult.